My first thought about playing blackjack at Aria was that it’s a new place that will hold mostly higher-end players. Great! That means I can throw some large bets around and hopefully go somewhat unnoticed. 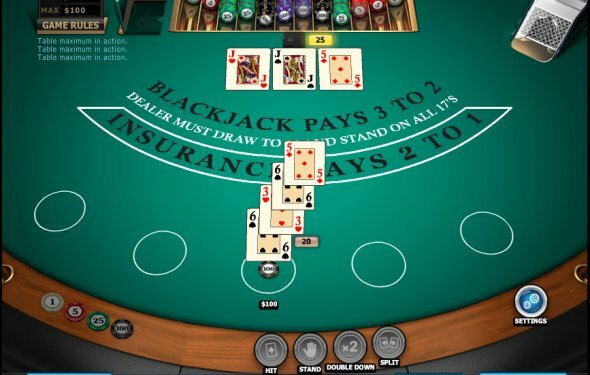 When it comes to card counting I’m not just looking for great blackjack rules and good dealer penetration, I’m looking for where I can get the most action on the table without drawing too much attention to myself. I found that Aria was pretty good in this respect. I was also pleasantly surprised to see that Aria’s casino chips do not have RFID technology (radio frequency identification) that could potentially track player betting patterns. If you’re wondering what an RFID chip might look like, just head into Wynn Casino and check out a $25 chip. You’ll see that there is a metallic circle near the top-center of the chip which is used for tracking purposes. The main idea of RFID technology is to prevent counterfeit chips, but I also know they can be used to detect a card counter’s betting patterns. So thank you Aria for using normal chips like most of Las Vegas!